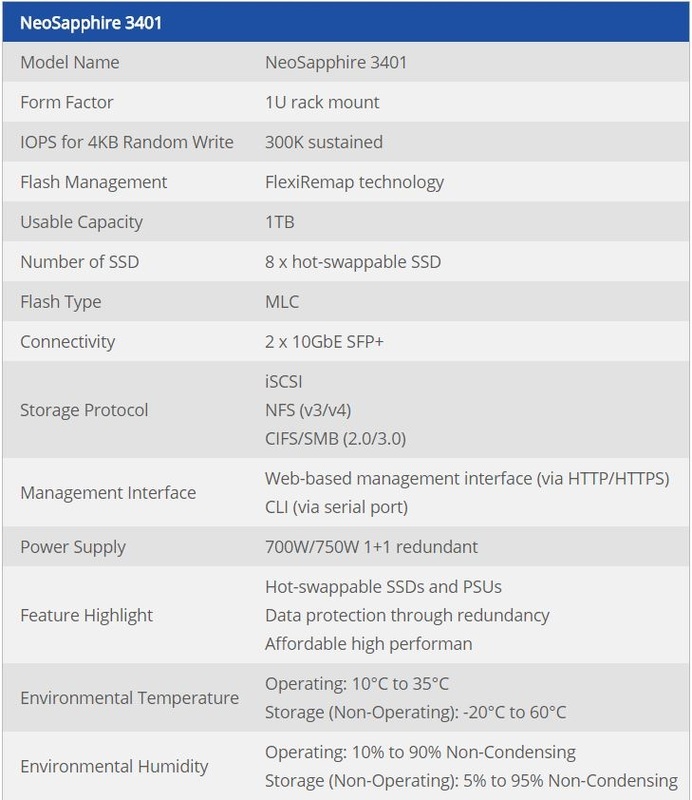 NeoSapphire 3401 comes in a 1U form factor and 300K sustained IOPS for various enterprise applications. Featuring excellent performance and 10GbE connectivity, NeoSapphire 3401 keeps you at your best productivity with an affordable budget. The AccelStor vSphere Web Client Plug-in and Free Clone lets IT admin easily create a datastore among various storage devices and it simplifies settings adjustment between the AccelStor AFA and vSphere for a better virtual machine environment usage experience. Visualization is one of the most popular applications in enterprise IT environment. As the scale of visualization is getting bigger, the role of data storage becomes more critical than ever. To prevent the storage tier from being the performance bottleneck in server virtualization and VDI, all-flash array solutions like AccelStor NeoSapphire come to rescue. NeoSapphire all-flash arrays are designed and architected with optimized, high-density hardware platforms and patented FlexiRemap flash-oriented software technology that provide higher performance and better endurance. With sustained performance ranging from 300K IOPS to 600K IOPS for 4KB random writes, more virtual machines of superior I/O performance on guest OS may be hosted within same rack space.